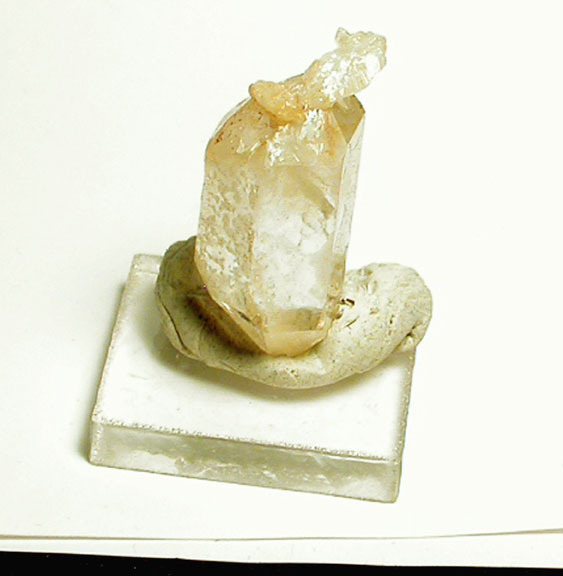 If you've not considered rock crystals as having personality and humor, here's your starting points! Doubly-terminated golden healer with a RARE 10 facets at the termination with a secondary Isis face, the 'other end' features multiple faces, multiple record keepers, multiple rainbows and two little penetrating layered clusters looking like fishtail crystals. The main end [with the secondary Isis face] has a little iridesence, multi-layers, and a BIG record keeper. Prism sides have remarkable growth patterns and a bit of patterned second generation quartz. An inner foil ups the light energy being sent out. 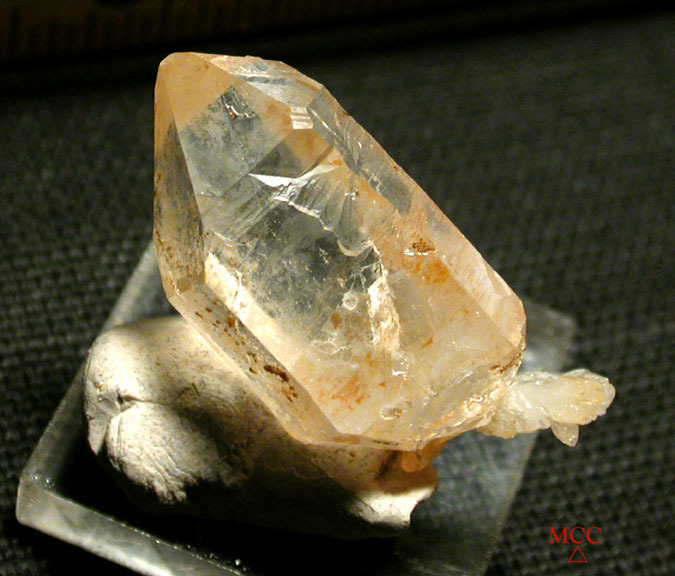 Overall 5/8x 1-1/2", from the type locality for golden healers: Collier Creek Mine, Arkansas.